Stainless Steel 304 & 316 Flat Bar Supplier | Stainless Shapes, Inc.
Flat Bars are one of the most commonly requested products we offer. The most popular grades are 304L and 316L other grades are available. We provide stainless steel flat bar Sheared and True Mill. When you need quick delivery, custom lengths, or sizes contact us. Our purchasing team has years of experience to make sure we supply the most competitive product for your projects. The difference between a true mill flat bar and sheared or flat bar cut from the plate is dimensional tolerance. In the true flat bar, tolerances for width and thickness are restrictive and have the better finish. In cutting bar from the plate, the diametrical tolerance will be more generous and in line with the cutting method. The thickness of the flat bar cut from the plate will be same as that of the HARP plate. Plate thickness tolerances tend to run on the heavy side. The minimum under tolerance for plate thickness is 0.010”, while the over tolerance is either unrestricted or is at least 0.090” and increases with thickness. Hot Rolled – To shape stainless steel, they need to be at above 1325-1500 degrees Celsius. This is above the temperature in which steel solidifies. For sculpting, mills shape and form them easily at this temperature and can mass produce the material to our strict specifications. True Mill – Otherwise known as True Mill and cold rolled is an added step to the hot rolled process. It does create a better piece of material, but it also takes a lot longer to create cold rolled over hot rolled. While hot rolled is produced and shipped out, cold rolled are sent over to cooling plants where they are then annealed, or temper rolled. This will press the material into finer dimensions without losing any of the density. This concentration allows the material to be able to withstand equal or sometimes more concentrated force while also taking less room. It also has tighter tolerance then a Sheared and Edge. 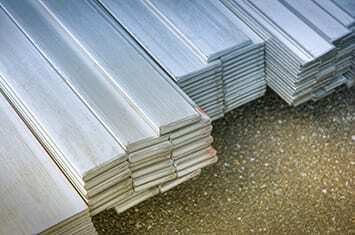 There is a fine line between stainless steel sheets and stainless steel plates. That line is the amount of thickness involved. We will often receive orders for sheet metal that should clearly be a plate and vice versa, so to clear that up, here is a disclaimer. Stainless Steel Sheet – Sheet is available in a thickness less than .250″- .018” thick. Stainless sheet is usually ordered by gauge thickness width and length. Width starts at 48” wide and length can be 144” long. Custom width and lengths available upon request. Stainless Steel Plate – Plates are when the thickness of the metal are thicker than 3/16″ to 6″ which may have a #1 HRAP finish. Plate starts at 48” wide the length can be 30’ long. We offer custom sizes. True mill flat bar – Tolerances for width and thickness are restrictive and has sharper edges. The finish on all four sides will be the same and will have a smoother finish and less twist. Sheared flat bar – We can offer Sheared bar from plate. Need special lengths just ask we can offer 20’ length with a quick turnaround. The width tolerance will be greater with one edge having a slightly rounded radius. The material will have a hot rolled finish not all side will have a uniform finish. The side was material cut would vary. Flat bar cut from plate can meet ASTM A276, and A479 is permitted via ASTM A484. Special finishes available, 180 Grit and higher, Call today. Cold Drawn Flat Bar – Cold Drawn Flat Bars are available in 303 Stainless Steel. Call us now to request more information for width, thickness and restrictions. 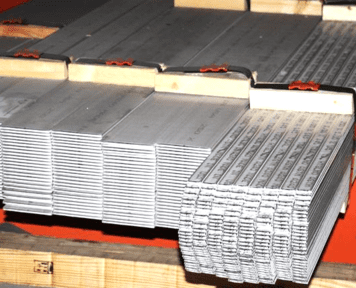 Limited quantities of the flat or square bar are produced in several alloys where they are in demand for aerospace applications or where cutting from the plate is prohibited. This includes titanium alloys and PH 15-5.